Tough stain can be removed by pre-treating the carpet in addition to spot treatment before steam cleaning the carpets. This process is very common for high traffic areas, food stains and other spills the happen on the carpet over time. But sometimes, there are stains that are difficult to remove, even after pre-treating the effected area. With these stains, it is necessary to repair these areas with a permanent patch. Our customer in Peoria had a stain that wouldn’t come out. One of our certified technicians was dispatched out to inspect the area and he confirmed it was a oil based stain that would not come out with regular steam cleaning. 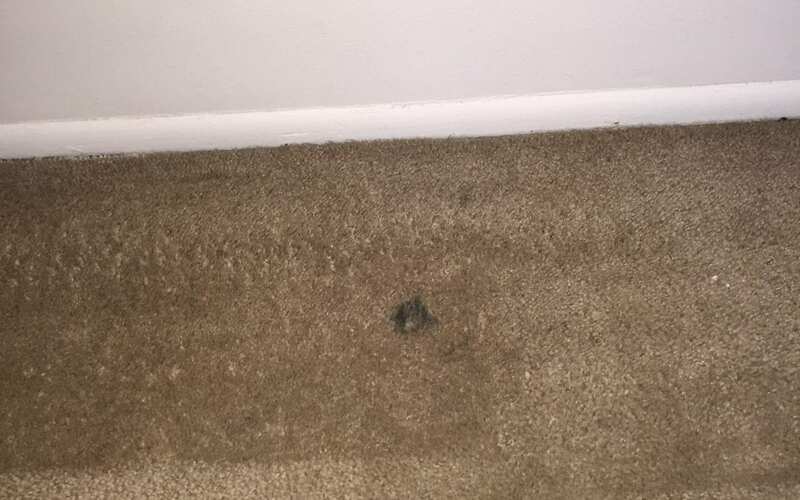 Red dye and other substances need to be repaired by cutting out the stained area and installing a fresh piece of carpet. Check out our before and after photos below.